The answer is no. An independent mechanic, a retail chain shop, or even you yourself can do routine maintenance and repairs on your vehicle. For more information, visit consumer.ftc.gov. Save money through preventive maintenance. 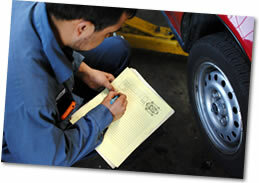 All maintenance services are performed by our ASE-certified technicians. Request an appointment or get a quote for services today! We even offer a free shuttle service for your convenience.